I his forest-dwelling bird feeds on insects and spiders. 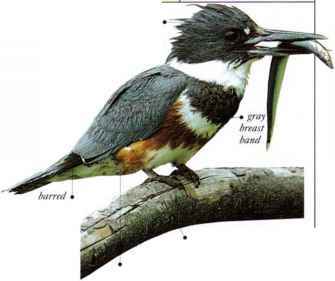 The breast is black in males and chestnut in females. Males display with a noisy snapping of wings above the trees. • NEST A cup nest of plant fibers, bound with spiderwebs, in a horizontal branch or an upright fork.